Find out more about the new development in Nine Elms on two open days in November. 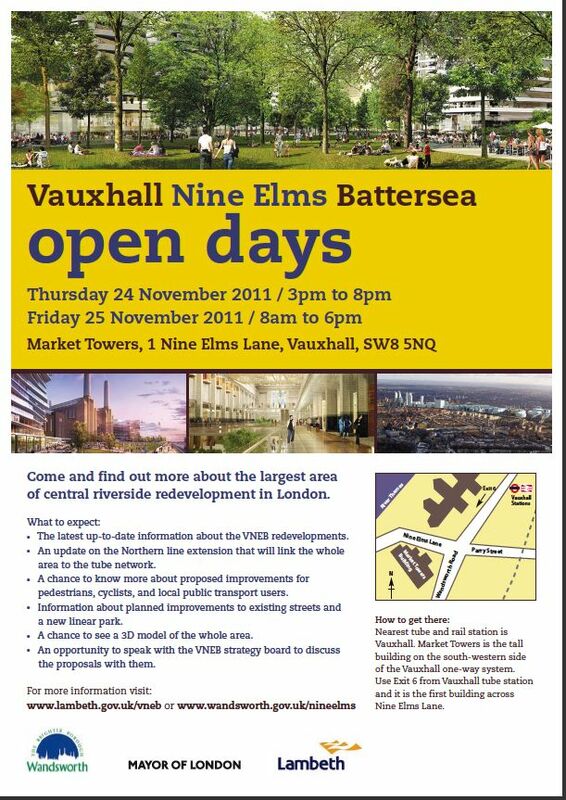 Speak to the Vauxhall Nine Elms Battersea strategy board about the proposals. Market Towers is the tall building on the south-western side of the Vauxhall one-way system. Use exit 6 from the Tube station and it is the first building across Nine Elms Lane. This entry was posted in Battersea and tagged Development, Nine Elms, Open Day, US Embassy by Blogger. Bookmark the permalink.